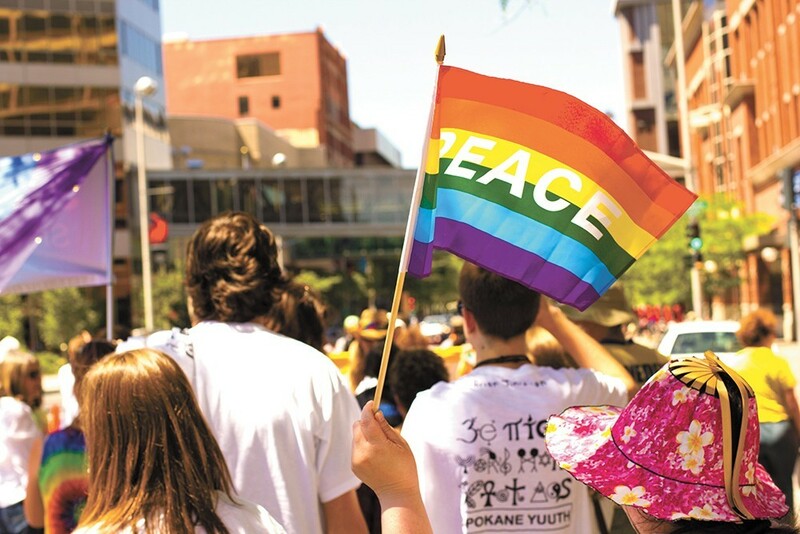 The Spokane Pride Parade and Festival is on Saturday. MUSIC | Spokane Falls Community College kicks off a series of concerts from its music programs with a show from its concert band tonight (catch the choir on Tuesday, jazz and world drumming on Thursday and the school orchestra June 12. MUSIC | Mommy Long Legs, Phlegm Fatale and S1ugs combine to kick up a mighty Tuesday show at The Observatory. FILM | The Garland Theater's summer camp film series hosts a classic — The Goonies! Tonight at 7. MUSIC | Zakk Sabbath is the Black Sabbath-loving tribute led by longtime Ozzy Osbourne guitarist and Black Label Society leader Zakk Wylde. It's going to be heavy at The Pin! WORDS | Get into the wonders of Northwest veggies with author Kim O'Donnel and local author Kate Lebo, both foodies of the highest order, in conversation at Auntie's. THEATER | David Blaine specializes in death-defying stunts and magic, and you should read our story about the man before checking out his show at The Fox. MUSIC | Def Leppard deserves your respect, dammit! They're headlining Spokane Arena, joined by Poison and Tesla. THEATER | Gonzaga and Terrain team up for a production of Waiting for Godot at the Washington Cracker Co. Building. THEATER | The Spokane Civic hosts the 29th Playwrights' Forum Festival starting tonight, and you can enjoy four one-act shows in one night. COMEDY | Standup comic Fortune Feimster takes over the Spokane Comedy Club for the weekend, so consider the Friday night shows a solid warmup for Pride on Saturday. FESTIVAL | Elkfest kicks off a weekend of awesome tunes and good times in Browne's Addition today. Wear sunscreen, day drinkers! WORDS | It's a Willow Springs Books Fundraiser at The Bartlett, featuring authors Sam Ligon, Laura Read, Kate Lebo and Maya Zeller reading from Willow Springs books. COMMUNITY | It's Spokane Pride 2017 day! Get downtown for the parade and all-day party.